This month, Octavia Fellin Public Library in Gallup is celebrating Native American Heritage month with a variety of events including film screenings, presentations, and performances. If you are in the area, we encourage you to check out some of these exciting activities honoring Native American Heritage in the Southwest! The Cachini Dancers, under the leadership of Terrence Cachini, will perform choreographed steps to the beat of the drum. The dancers are a family oriented dance group sharing their traditions and also their social and cultural talents with the public. In the rugged canyon land of Northern Arizona, Navajo and Hopi cross-country runners from two rival high schools put it all on the line for tribal pride, triumph over personal adversity, and state championship glory. Judith Avila wrote Chester Nez’s compelling memoir about being a part of the original 29 Code Talkers. The Navajo Code Talkers served in the Marines during World War II. These men participated with the only unbroken code in modern warfare and used it in battle against the Japanese. Mr. Nez was the last of the original 29 Code Talkers; he passed away earlier this year. Storyteller Sunny Dooley will recount the Fall/Early Winter stories of the Dine’ Blessingway Stories. Ms. Dooley is a Dine’/Navajo Storyteller from the Chi-Chil-Tah area of the Navajo Nation. She has shared the vibrant history traditions and culture of her people for over thirty years. Join use for a ribbon cutting of the new Navajo Language Room. It will feature books and software in Navajo. Newly crowned 2014-15 Miss Navajo Nation McKeon Dempsey will discuss her experiences competing for the crown and what she plans to achieve during her reign. Her plans include engaging youth about culture, language, and traditions through artistic outlets, seeking happiness, and learning from one another. Miss Dempsey is from the Towering House Clan, born for the Rock Gap People Clan. Her maternal grandfather’s clan is the Bitter Water Clan and her paternal grandfather’s clan is the Deer Spring Clan. Saturday, Nov. 22 | 2 p.m.
Fernando Cellicion, renowned Native flute player/singer, and Florentine Johnson, drummer/singer, will perform traditional songs to educate the public about Zuni culture and traditions. They are members of the Zuni tribe. 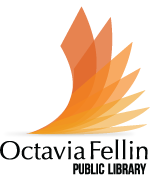 For more information, visit the Octavia Fellin Public Library website at galluplibrary.com.